The KBP-V60FD features dip-switches to customise your layout with additional key caps to match your preferred layout, a key puller to help swap your keycaps, and white Fukka (Fuhua) Alps style Click switches. Easy to navigate website, quick ordering process, 7days from UK to Australia using the cheapest shipping option. What more could you ask for? My previous keyboard had cherry brown switches, however i find that they were too light for my taste and it was far too easy to accidentally trigger a key press when I'm resting my fingers on them. While the brown switch was easy to type on (almost no resistance), i find that i was making more typos and corrections. I read good things about the Fuhua/Fukka clicky switch and that it was manufactured by the same company that produced the famed Alps switch. 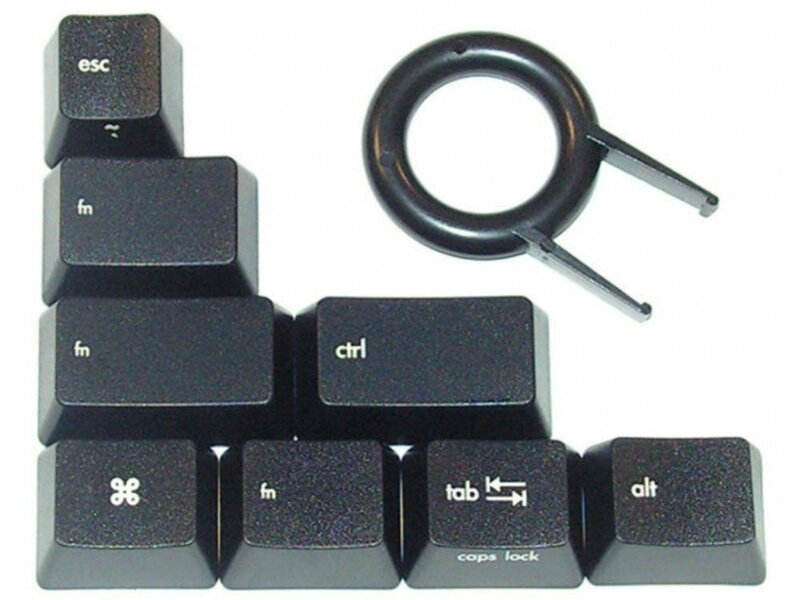 If you were old enough, you would have remembered those Dell clicky keyboards back in the good old days. The keys felt wonderful to type and it had a really satisfying click and tactile feel to them. You know when you had pressed on a key, intentionally and deliberately. The only other keyboard which would have offered a possibly better typing experience was IBM's buckling spring keyboard which is now produced by Unicomp. I was torn between the Unicomp's buckling spring keyboard and KBParadise V60 with Fukka switch. Ultimately, i chose the V60 as it was a lot more compact while offering the same functionality as a full size keyboard though the use of the Fn key. Ergonomically speaking, being a 60 percent keyboard, i was able to position my mouse closer resulting in less shoulder strain. The case on the V60 is made of plastic, however it feels pretty solid. The keyboard also had a really fine matt finish. I really suggest placing a rubber/foam mat/little towel under the keyboard to dampen unwanted sound when typing. Apart from the limited choice/chronic absence of after market keycaps for Alps switches, no fancy RGB led back-lighting and non programmable layer, there is nothing not to like about the V60. I seldom look down when I'm typing so it doesn't bother me too much that the keyboard is not very customisable. Probably a good thing for your wallet. If you already had a 60 percent keyboard like the pok3r, the layout of the arrow keys, home, end etc, on the V60 may bother you. 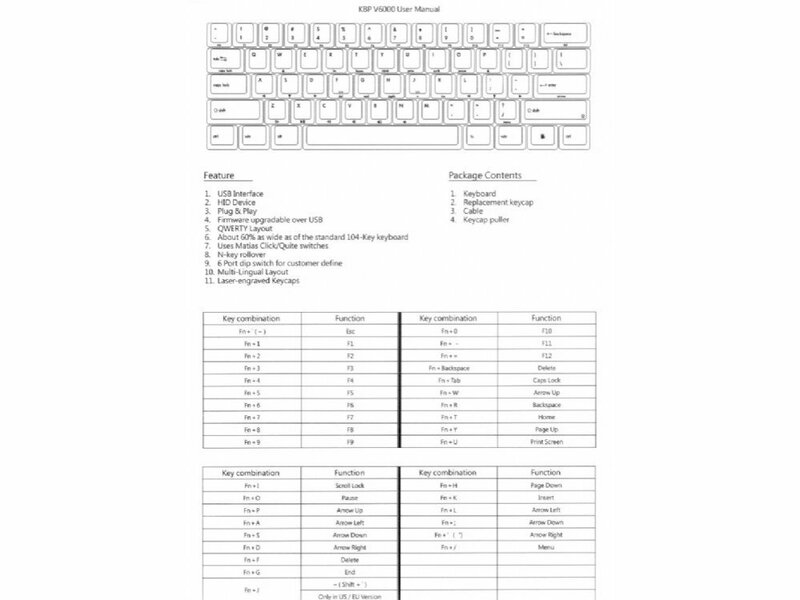 I used an autohotkey script to remap those so that the layout is like a pok3r. It's a shame that the Fukka switches are no longer in production. The V60 is the only 60% keyboard that you can buy brand new with Fukka clicky switches. If you have missed out on the Fukka, the Matias clicky switch offers a near identical typing experience, albeit a bit more costly. If you could hear a pin drop in your office, the Matias Quiet Click is probably a better option. I ordered this one half-blindly (there's only so much you can learn about a switch without trying it in person) because I needed a new keyboard quickly (my ergodox died and it took a while to get it fixed). I have to say I'm very, very pleased. 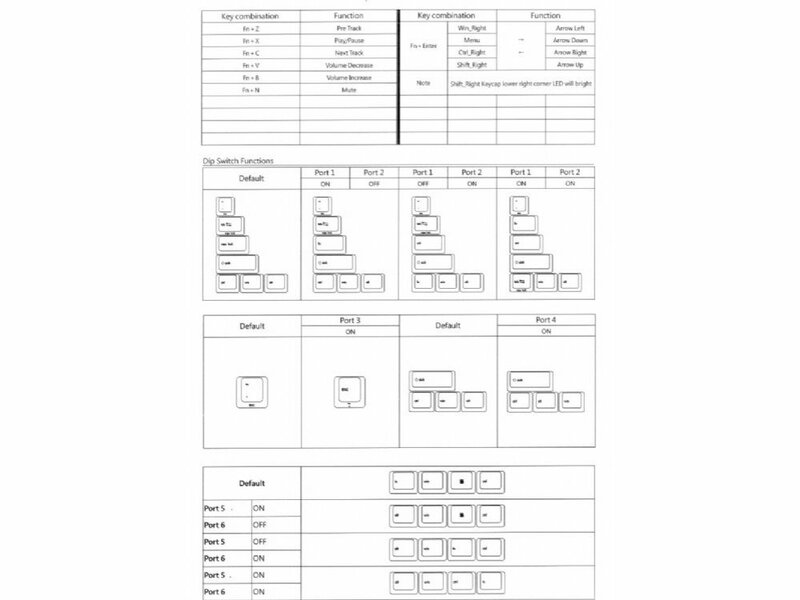 The keyboard is simple in its layout and also in how you set it up. There is no programming - the DIP switches give you just enough flexibility, but not too much so that you end fiddling with the almost endless possible layouts. I was expecting the Fukka Click switches to be too obnoxiously loud (which they are), but I got addicted to typing on them almost immediately. So much that now I'm considering getting another ergodox with tactile keys (I have gateron reds currently, which until now, I thought they were perfect). 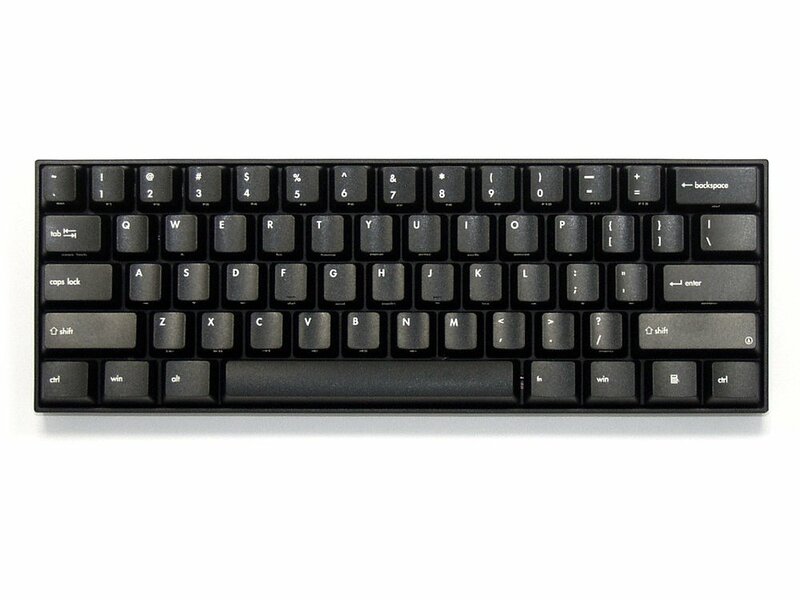 As far as well-built mechanical keyboards go, this one is quite inexpensive. The only reason I can see not to get one is if you dislike compact layouts. I only have one minor complaint. You get some extra keycaps in the box, which is nice as you can use them to make the keycaps match your actual layout. Unfortunately there is only 1 CMD keycap, so I had to keep the WIN keycap on the right CMD key. I was also very happy with how the order was handled. Everything was processed smoothly and the package arrived in no time (which is not always the case where I live). The service, delivery time and product quality are extremely high. This is the second professional keyboard I buy from this company and I'm totally happy. The V60 keyboard is a must for those who like to customize the key position without using any software. The 60% ANSI layout makes this keyboard extremely compact. The construction quality is superb (I come from a Filco keyboard so I know what I'm saying) and the switches give a nice audible click and a strong touch feedback. I recommend this product for everyone who need a solid, well constructed keyboard, with minimal functionality and a very compact layout. Suggested for developers and CLI power users.